Which Tools Are Best for New Homeowners? New homeowners spend a lot of time making repairs, assembling furniture and making home improvements. Having the right tools for the job is very important. Homeowners who buy a new home with tools already on hand can get started with their home improvements on day one. These tips can help new homeowners decide what kind of tools to purchase when escrow closes, so they can be prepared upon move in. Everybody needs to have a good hammer on hand, and many homeowners need more than one. There are a variety of different types of hammers that can serve different purposes around the house. Most homeowners own at least one curved claw hammer for hanging pictures, installing shelves, assembling furniture and other common tasks around the house. When choosing a curved claw hammer, look for one that is between 16 and 20 ounces for most DIY projects. Other hammers that homeowners often find helpful include the ball peen hammer (with a rounded end that can be useful for removing dents) and a sledgehammer for demolition work. On a related note, many homeowners also keep mallets on hand for pounding items that might suffer damage under the hard surface of a standard hammer. Homeowners also need nails: lots and lots of nails. While nails have a way of accumulating in the house over time, many homeowners start their collection by purchasing nails in a range of sizes. New homeowners need nails for picture hanging, furniture assembly and related tasks. Having some on hand prevents the homeowner from making repeated trips to the hardware store and the house. Next to the hammer and nails, there's nothing more essential than a screw driver and screws. There are two types of screwdrivers, Phillips head and slot head. The Phillips head screwdriver has a plus-shaped tip, while the slot-head screwdriver has a minus-shaped tip. Both are common, and both types of screwdrivers are essential to have around the house. In fact, many homeowners find it's important to have screwdrivers in different sizes, to fit with different types of screws. Just as it's important to have nails of various sizes, it's also important to have screws of various sizes. This makes it easy to carry out simple home improvement projects. In addition to the basic tools mentioned above, there are a variety of miscellaneous tools that homeowners should have on hand when they move into their new home. Homeowners who assemble these tools in advance of moving into a Woodacre home will move into their home with a leg up on home improvement and repairs. Homeowners seeking more information about what kind of tools to have on hand can consult with a contractor or handyman. 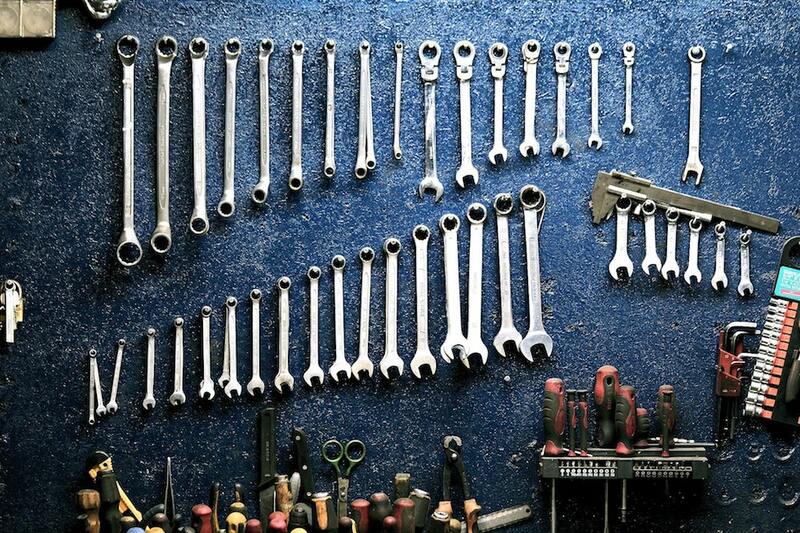 Asking an expert can help a new homeowner decide how much money to spend on tools.